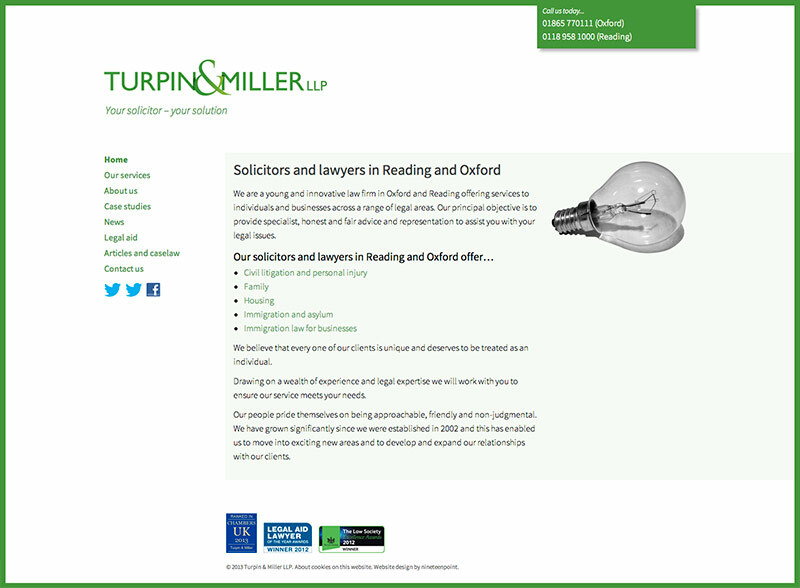 Turpin And Miller LLP is a young and innovative law firm based in Oxford and Reading. I have worked with them for several years, designing and developing several iterations of their website design and offering consultancy and support on all aspects of the website and search engine optimisation. I used Drupal 7 to construct the website, and advised on content strategy and best practice during the development of the most recent website design in order to maximise visibility from and engagement with users. The website design is fully responsive and met Turpin And Miller LLP's aims of a clean, clear and elegant website which places content at its core.